This update is a bit sneaky: I actually placed the new things on the site last Friday. Unfortunately I didn’t have time to write the update then so here it is a few days delayed. 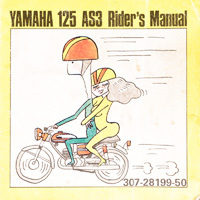 We’ve finished digitizing the AS3 Rider’s manual and it is online and available for download from the manuals page! There’s a link below as well, just click the image.